Monitor and manage your business EaZily. 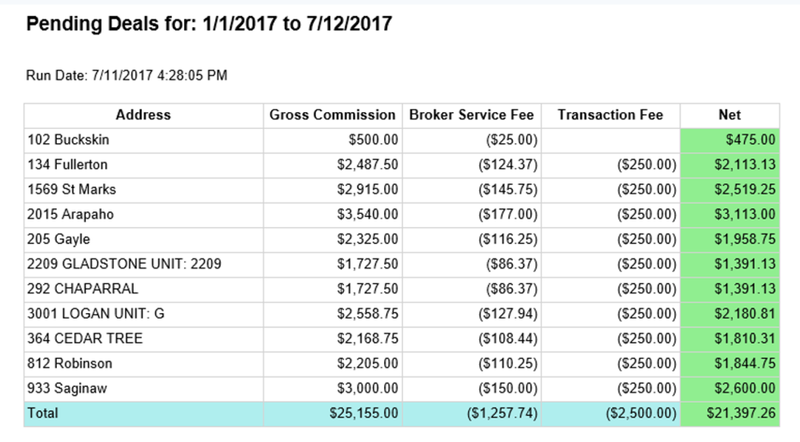 An extension of broker.ez™ that provides agents a private portal that syncs with the office where they can monitor and manage their business. Agents can track their performance from KPI dashboards, see the status of their plan and bills, forecast income from pending deals, and with the optional market module keep track of their market and competitors. Provide your agents the ability to track the status of their listings, pending deals, and closed deal files. Preview payouts on upcoming closings and check the status of their invoices from the office. Get annual summaries of income/expense and see a forecast of potential earnings. Provide agents interactive dashboards highlighting their performance with year-over-year comparisons and long-term trends. Track numerous aspects of business including commissions, pending deals, new listings, and active listings. This optional feature allows agents to gain insights on their market and competitors. We have integrated Quickbooks to save agents time and make taxes EaZier. You also have the capacity to sync critical data between your agent and your office.